The river Lima has its source in Spain and flows east to west across the Costa Verde (Green Coast) region of north Portugal, It goes through the national park of Peneda-Geres and through the towns of Ponte de Barca and Ponte de Lima and reaches the sea at the old sailing port of Viana do Castelo. Most people assume the Algarve is the obvious place to go when visiting Portugal, but far more interesting and less touristy is the tranquil charm of the north. In particular the Lima Valley in the northern region of Alto Minho is considered one of the most beautiful parts of Portugal, and the following suggested two week tour will give you time to find out why. 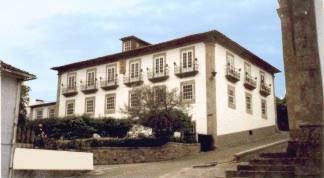 Ponte de Barca would make an ideal place to start from, as it is not far from Porto, which is the nearest airport. This attractive little town is named after the 16th century bridge that crosses over the Lima River. As it is very close to the Peneda-Geres National Park, three days would give you time to explore some of the wonderful trails and fascinating villages within the park. The villagers are very traditional, still living and working using methods that were passed down through the generations. 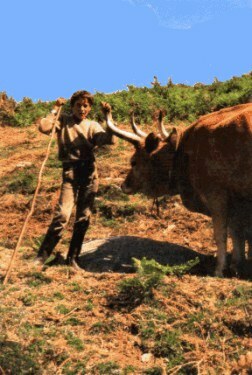 Completely self sufficient until quite recently, bartering was the method of trade amongst the locals instead of money. Even the cattle and goats have free run of the area, coming into the villages in the evening to seek refuge under the houses from the wolves that roam the hills at night. One of the more interesting guesthouses to stay in is the Casa Nobre Do Correio-Mor, a beautifully restored manor house offering charming accommodation that reflects a bygone age of gracious living. Filled with original stonework features, it has views that look out over the rooftops of Ponte de Barca to the mountains beyond. You may experience the owner's extraordinary hospitality filling the house with music and dance. Moving on from Ponte de Barca your next destination should be Ponte de Lima in the Lima Valley. It is an old Roman town also named after its bridge, which has no less than 24 arches, four of which are part of the original Roman construction. 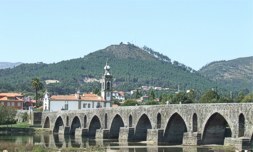 Ponte de Lima is well known in Portugal for its small restaurants serving good food (known as 'taskers') and fine Vinho Verde wines. It also holds several rather entertaining events throughout the year, such as a 300 year old festival held in June to honour an ancient tradition. It involves sixteen men leading a bull (tethered by its horns) three times around the church and into the main square, before allowing it to charge through the streets and on to the river beach. You might want to find a high vantage point to watch that one! There is also an ancient market, which began in 1125 and is held every alternative Monday on the banks of the river. Here you can buy anything from embroidered linen to carved furniture and wickerwork. Quinta de Nabais is a luxury holiday villa only eight kilometres from Ponte de Lima and would make a fabulous place to base yourselves for a week while you explore the surrounding area. It is a 16th century house with its own swimming pool and floodlit tennis court set amongst large well kept gardens and woodland. Being ideally located near the main highways, it would be possible to visit for the day some of Portugal’s most historical towns such as Valenca, Guimaraes or Oporto and even as far as Baiona and Santiago de Compostela in Spain. 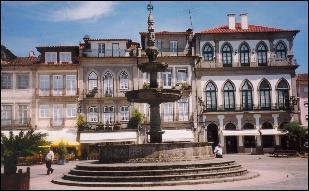 End your tour by spending the last four days in the town of Viana do Castelo. This coastal town is where the mouth of the Lima River meets the Atlantic and where many epic voyages departed from during the Age of Discovery in the 15th century. It is a town filled with magnificent buildings which came about following the extreme wealth that resulted from subsequent trade. Signs of these exploratory journeys can be seen in the old quarter of the town, which today is predominately a pedestrian only zone. One of the main attractions is the Santa Luzia Basilica set on the hillside overlooking the town. There have been so many weddings and baptisms held in the ancient chapel within that there is now a permanent flower display, which is well worth a look. There is also an observation platform at the top of the Basilica, which can be reached by a narrow and steep spiral staircase, with spectacular panoramic views. Higher up the hillside, are the ruins of an ancient village of Celtic round houses dating back to 2000 BC, and the last people to occupy the village was in 500 AD. Having conquered Portugal, the Romans apparently forced the villagers to give up hunting and move down into the valley to take up farming so they could produce food for the legions. As a base while you are there you might like to consider the Santa Luzia Cottages located just below the Basilica on a small estate. The five estate workers cottages have been superbly converted to high standard accommodation, each tastefully decorated and extremely comfortable. There are lovely views of the town below and as an added feature, there are decorative pheasants which are in the gardens of the estate adding a unique splash of colour. A short ferry ride across the river will take you to the sandy beaches of Cabedelo providing plenty of opportunity to relax in the sun. I can think of no better way to round off a lovely holiday before returning home.